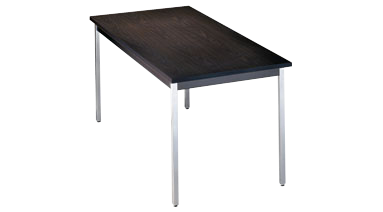 High-density particle board top, finished in thermally-fused laminate on both sides. 1 thick. Self-edged. Chrome legs with top quality levelling glides. 60W x 30D x 29H. Chocolate Walnut finish.